Why have one, when you can have both? 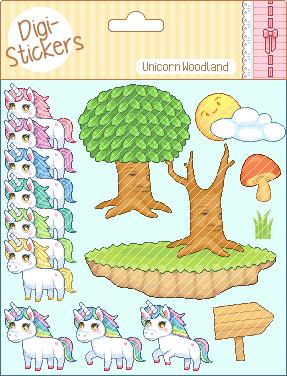 This bundle gives you two sets for a discounted price - Unicorn Woodland and Sky Pegasus. Click the image for the full preview. What's better than a unicorn? A unicorn with WINGS! This little Pegasus comes in three poses and seven mane colour variations. 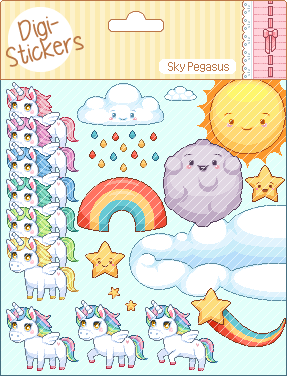 The set comes with sky themed props (I am obsessed with putting faces on everything). Click the image for the full preview. 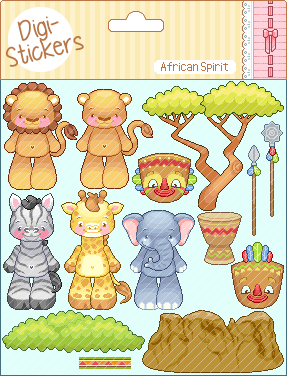 These outlines are Doodlebug Pixels originals. UNICORNS! I got a bit crazy with the mane colour options, but he was just too stinkin' cute. This unicorn set comes with three poses and seven mane colour variations. Props are woodland themed - wise old tree, mushrooms etc. These little Sweeties just love fruit! This set includes teddy bears, rabbits, cats and dogs with loads of fruity props. Click the image for the full preview!